Welcome to the 1st Friday in April and you know what that means! It is time for a brand new blog challenge. 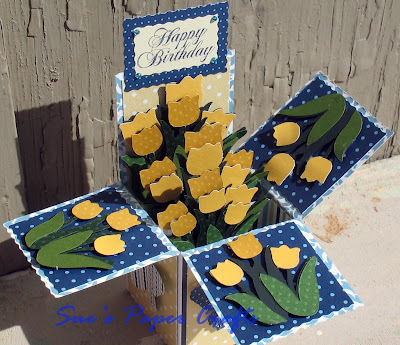 First, we have the gift certificate winner and our top 3 projects to announce from Friday Challenge 61 - "Welcome Spring!" Thank you for playing along and sharing your inspiration with us! As always your projects were wonderful and we love to see what you create! 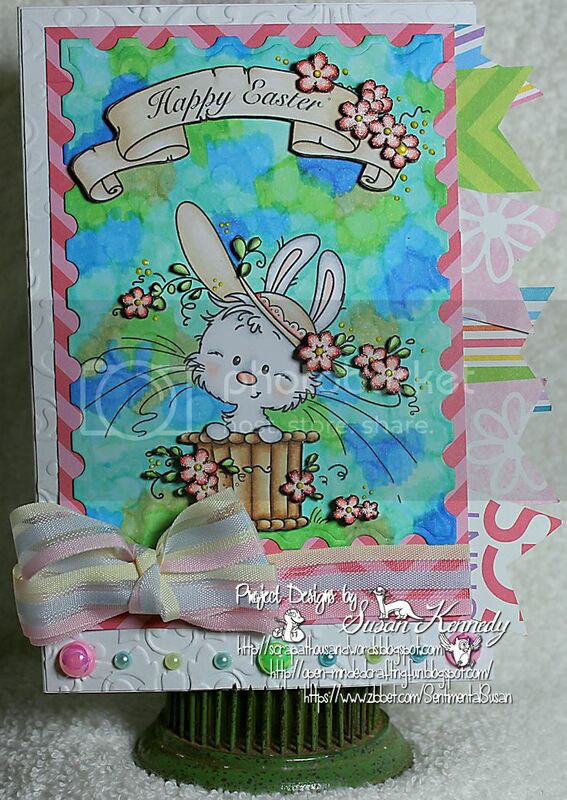 Susie here with the new monthly challenge for April: Tag It! I frequently use tags on my layouts and cards - sometimes as embellishments, sometimes as a focal point, and sometimes just as a design element for balance. And sometimes I just create tags like this one featuring the Anchors Aweigh collection! 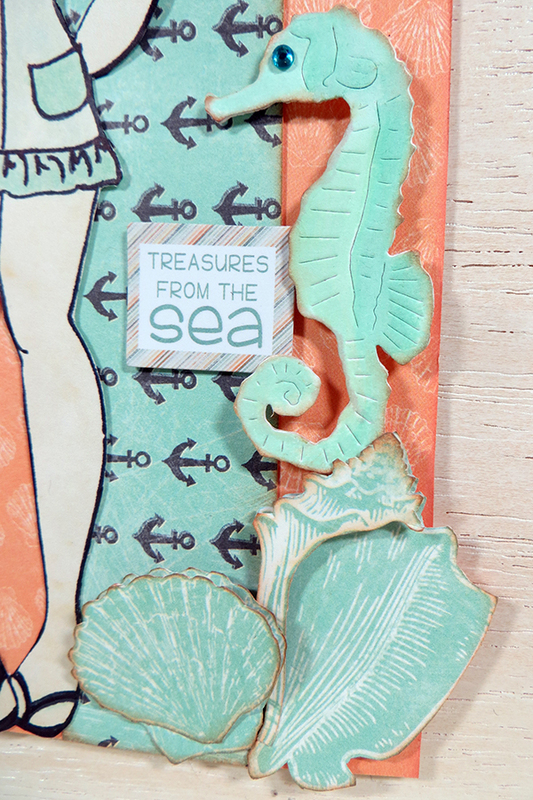 The small scale prints in this collection are great for tags and cards! The tiny seashells and anchors in the background really help to set the scene. 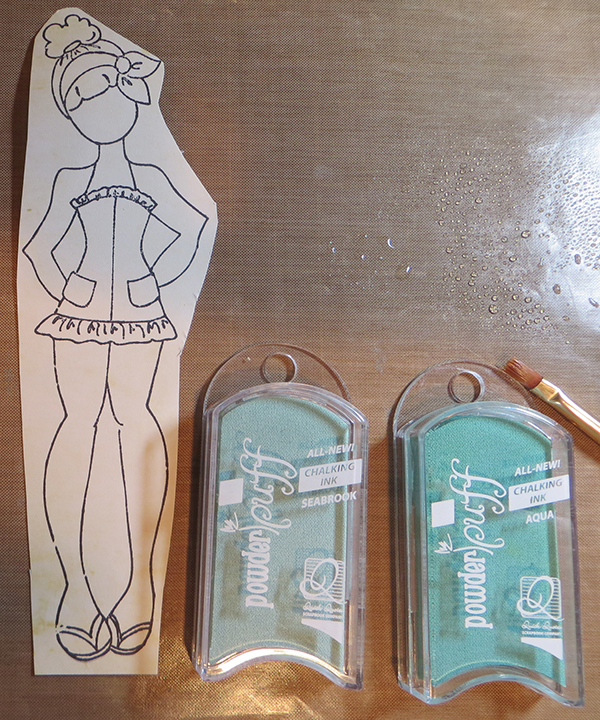 This was the perfect time to bring out my new mixed media doll stamp - complete with a summery romper and flip flops! I added color using a watercoloring technique. I simply stamped ink onto a craft mat and spritzed water next to it. I used a paint brush to mix and apply the colors. Her hair is a mix of Milk Chocolate and Mahogany. Her romper is Seabrook with Aqua ruffles and pockets. I trimmed her out and set her aside. Time to create some home made embellishments! I cut all of the seashells out of the strip on Anchors Aweigh 101. 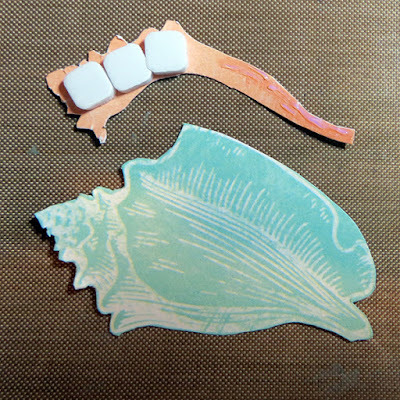 ...and layered the pieces to create beautiful dimensional embellishments! I inked the edges with Creamy Cocoa and added them to the base of my tag. 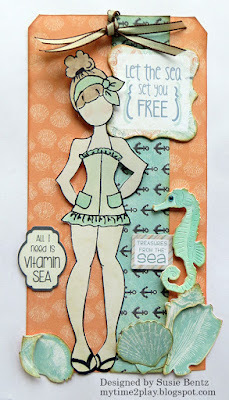 I included a die cut seahorse that I also watercolored using the Aqua and Seabrook PowderPuff Chalking Inks. The turquoise rhinestone from Want2Scrap makes the perfect eye! This month's challenge theme is "Tag It". Create a tag OR create a card, a layout or an off the page project and include a tag in your design - be creative! Thank you very much for choosing my card as a winner. Wow!! Thank you so very much. I couldn't be more excited about being your winner. Thank you!!! Congrats to Susan the winner - and the top 3 - I just found the challenge I hope to enter soon - have a blessed week!